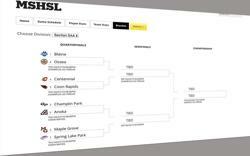 The section playoff picture was completed Sunday with the final tournament brackets being released. While many of the Class 2A fields have clear-cut favorites, Section 5 remains difficult to predict. Three different teams have represented the section — which is comprised of Northwest Suburban Conference teams — at the last four state tournaments. The familiarity of competition has contributed to the parity, with these teams sometimes facing each other for the third time in the postseason. Blaine (19-2-2, 8-1-1), which earned the No. 1 seed, looks every bit like the top contender this year, winning its final 14 games of the regular season. However, No. 2 seed Maple Grove, No. 3 Champlin Park, No. 4 Centennial and the remaining section competitors are capable and eager to bring that streak to a halt. The Crimson dealt the Bengals their first and only league loss of the season — a 3-2 overtime decision on Dec. 15. The defeat came two days after Blaine narrowly escaped Centennial in a 5-4 overtime victory, and in their second meeting with the Cougars, the Bengals used a trio of third-period goals to clinch a 4-1 win Jan. 17. Credit Centennial goalie Leo Troje for helping keep Blaine within reach in both games. The Bengals outshot the Cougars by a combined 82-43 but only held a 9-5 scoring edge. The St. Cloud Municipal Athletic Center is slated for what could be some of the fiercest competition in Class 1A this postseason with Section 6 rivals St. Cloud Cathedral, Sartell-St. Stephen and Alexandria entering the tournament as legit state contenders. Alexandria is the defending section champ following a 3-2 overtime upset of St. Cloud Cathedral in last year’s final. It was just the beginning of the Cardinals’ unprecedented run to a second-place finish at state. Can Alexandria make a return trip? To do so, the Cardinals will likely need to again knock off the top-seeded Crusaders (21-4), who went 7-0 against section competition in the regular season, including a 3-2 overtime win versus Alexandria. The third-seeded Cardinals (18-5) may also have to deal with second-seeded Sartell-St. Stephen (17-7), and if the bracket holds, their matchup will be one to watch with both teams having proven their mettle by finishing the regular season with QRF's that are among the 10 best in Class 1A. Defending Class 2A champion Minnetonka reclaimed its No. 1 seed in Section 2, positioning itself ahead of No. 2 Chaska, No. 3 Eden Prairie and No. 4 Holy Family Catholic. 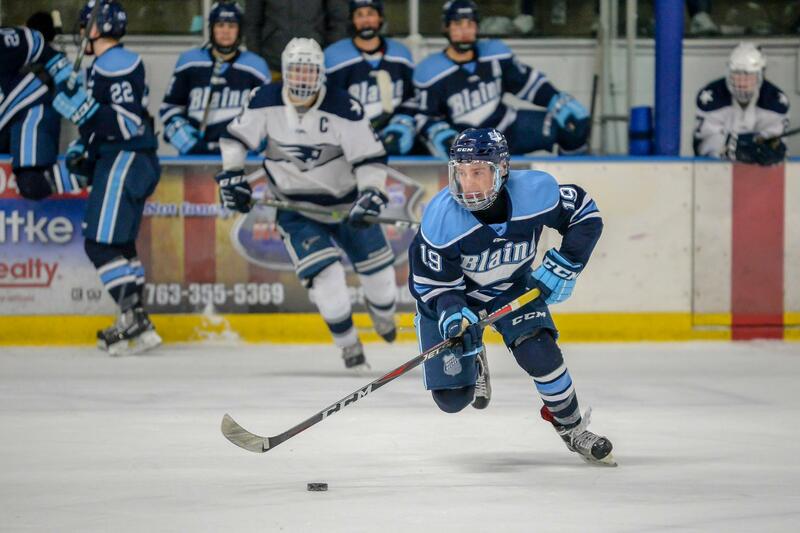 The Skippers seem poised to make another deep playoff run with balance on both ends, including an offense that outscored Minnetonka's section foes 11-2 in three regular-season victories. That was before the Skippers were pushed to overtime in a 3-2 victory over the Eagles, a Lake Conference foe, on Feb. 2. Orono, the reigning Class 1A title holder, finished the regular season with a 7-2 record against Section 2 competition, solidifying the Spartans as the No. 1 seed in the playoffs. A 3-2 loss to No. 2-seeded Delano in the regular-season finale, however, is sure to leave Orono looking to start the postseason anew, while the Tigers hope to maintain a seven-game unbeaten streak. Mound Westonka and Breck, which claimed the No. 3 and No. 4 seeds, respectively, cannot be overlooked, adding to the intrigue of this postseason tournament held at the St. Louis Park Rec Center. Click here to view all 2019 section brackets.